“To know that their families are not being forgotten, that we still think about them, we keep them in our prayers, and we talk about them,” Cane said. Max Sheiman of Northeast Philadelphia is also a survivor. His memories as a 10-year-old in a concentration camp in Austria are still very raw. “Up until today, constantly thinking and sometimes even crying,” Sheiman said. He says this new memorial plaza will make certain future generations never forget. 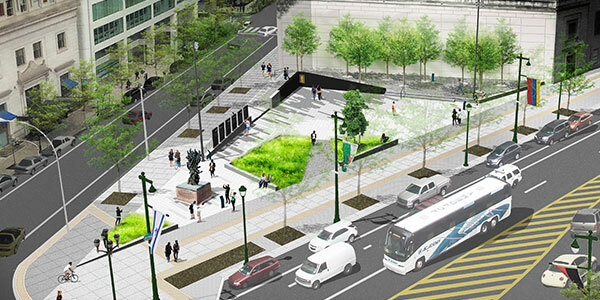 It centers around the existing monument to six million Jewish martyrs at 16th and the Parkway. 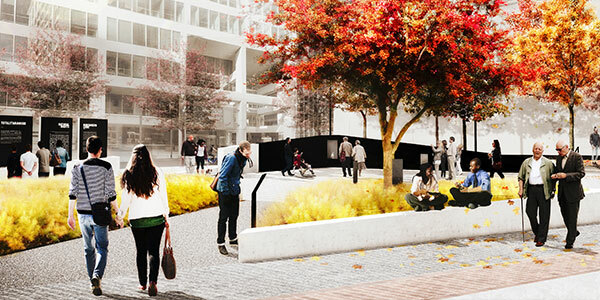 The plaza will include an eternal flame and six columns that tell the stories of those martyrs. Along the back wall will be portions of an actual railroad track that transported them to concentration camps. There will also be a tree with deep roots and tremendous significance. It comes to us from a concentration camp in then German-occupied Czechoslovakia, cultivated with love by a teacher and children who gave up their own water so it could grow. “Can you imagine asking these children to give up a portion of their daily water when their ration was so small? But they did. This is why a cutting from this tree that will thrive at the memorial plaza is so significant,” said Steve Kessler, Chairman of the Philadelphia Holocaust Remembrance Foundation. 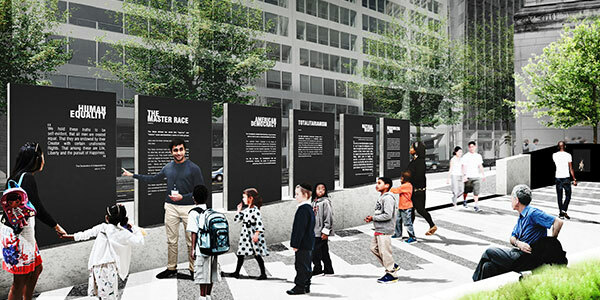 It is costing about $4.5 million to create this Holocaust Memorial Plaza. The plaza is expected to be complete sometime next year.